Young Contracting is a general contracting firm that specializes in providing solutions optimized for each client. Our commitment to cost efficiency, speed to market, industry leading superior safety record practices and creative delivery methods are what set us apart. We focus on our client’s business and the solutions required to secure their trust and loyalty and complete each and every project successfully. With this approach we have built lasting relationships with national retailers, healthcare brands, institutions and developers. We provide trusted buildings within your community. Young Contracting offers our clients a full range of pre-construction services to help specific needs early in the project. We assemble our project management teams to meet the specific needs, size and scope of every project, ensuring complete client satisfaction. Young Contracting stands behind our work. 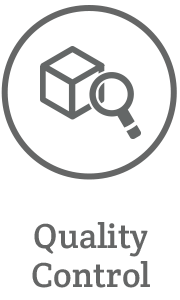 We strive to meet or exceed the quality that we are known for. Young Contracting delivers value every time. Each project we construct is a building of quality. From our team of professionals to our proactive process, Young never compromises. With our unique single source responsibility approach, dedication to safety, training and education, and relentless quality management, all built on a foundation of integrity; Young Contracting strives to provide industry leading construction services at the best overall value to each and every client. Our solid reputation has been earned through the consistent construction of quality projects by our talented team for 25 years. Young has delivered some of the Southeast’s most notable projects. Over fourteen million square feet of quality to be exact. From retail and renovations to healthcare and hospitality, each project is built with integrity. The Young Contracting Foundation was established in 2007 to facilitate the charitable acts of Young Contracting. We are proud to have supported and participated in more than 50 charities and philanthropic events in the last nine years.